Sorry for the incorrect Syrian flag and Hamas flag at 6:55. Too late to pull the video down and correct it now, so I’ll just point it out here. What??!! A false flag incident!!?? 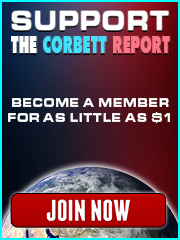 Right here on the Corbett Report!! On this link I don’t see the video, only on your frontpage I see the video of this interview. Pablito, Thanks for the article. What is interesting to note is that Saudi Arabia has often “played musical chairs” with power positions and some Royals getting the boot or worse. The history of this is astounding, as is the corruption by the Royalty. There are thousands of descendants in the Royal Family. Estimates range widely, from 10,000 to perhaps 20,000 or 30,000 to Robert Baer’s statement of possibly 60,000. The official Saudi website states: “The entire House of Saud is comprised of around 15,000 members, with around 2,000 in the inner circle.” Wikipedia places the number of Princes at 7,000, but the top 200 wield the most power. I should note that the monthly stipends and other practices might have changed within the past few years during the rise of power by MbS. Muchas gracias for the information you shared. Most of your comments are for me very mind expanding amigo HRS. Just like all other royals the members of the Saudi royal family are parasites. And the large immigrant workforce you mentioned, most of them live / survive under horrible conditions in Saudi Arabia. As you know I lived in the Netherlands and the Dutch Royals are one of the most horrible inbred parasites of the world. Since a month I live with my new Caribbean princess in Paris and even though France is a Republic, the French politicians are also parasites just like all royals and all other politicians. Mi nueva novia/ my new fiancée informed me also about French Foreign Legion and since 1991 in these countries this French Fascist Legion terrorized the locals..
My new fiancée is not French, because she is from the Caribbean. And in the near future she and I will move to her home island Cuba.. Yes Pablo is going to live in Cuba, but I will not start a revolution, because I’m against all forms of violence.. And you are always bienvenido / welcome to visit me in Cuba amigo HRS. Or if if you want to come to Paris you are also welcome..
After you learn to roll tobacco leaf, smuggle some of those Cuban cigars up towards Texas for me. Cuba sounds so inviting, and so “un-infected” by Western corporatism. And the women are hot! Pablo, you sure like spicy things… topics, conversations, foods, women, …. How come my great, great, grandpappy didn’t set me up with Oklahoma and Texas oil checks at 8k a month? when I’m in Cuba I will roll some cuban cigars for you. I think even I will ask my family in law to roll them for you, because they are more experienced. And I totally agree with you that it is ridiculous when a great-great- grandchildren get $8,000 a month. The same happens in the Holland, because the Royal house is made up of wealthy individuals with large investment portfolios, but this year the Royal Family will cost the government budget, and Dutch taxpayers, 41.4 million euros, according to Business Insider. And I’m sure that these inbred parasites get even more from the Dutch government. For a supposedly low-key, Scandinavian-style bicycling monarchy, the Dutch royal family come pretty expensive. According to last year’s annual study by Herman Matthijs, professor of administrative science and public finances at Ghent University, the House of Oranje-Nassau costs the country’s taxpayers £31m a year. That’s more than any other royal family in western Europe – including, for the first time, the House of Windsor, whose direct costs were reduced by 16% last year to around £29.7m. All the shifts that are going on are taking place within global plutocratic, neoliberal capitalism. This is not mentioned in the report. Yes, the “global plutocratic, neoliberal capitalism” agenda is *the* big picture, and significant moves in aid of that agenda will most probably nullify those brighter prospects that Sharmine so clearly described. But let’s continue to watch more closely. I really enjoyed the scope of this interview, and the clear, analytical talking points that Sharmine raises. She is a tremendously knowledgeable source, and is also articulate and eloquent. Bravo. My biggest take-away? The Qatari/Iranian/Turkish responses to the Gulf Cooperation Council demands/blockade on Qatar are a very interesting study. As Sharmine points out, if indeed it was a fact, a reduction or halt to Qatari/Turkish aid to their proxies in western Syria would have frustrated US/Israeli/Saudi tactical plans. The Syrian Arab Army and allies did seem to gain the upper hand shortly after the GCC schism. This in itself would have also aided Iraq’s push towards Kirkuk’s oilfields. To hold a decisive edge in any one place, the theatre planners would’ve had to decide where to prioritize near-term operations: anti-Assad forces at Deir ez-Zor or Kurdish/Daesh forces in the oilfields surrounding Kirkuk. As it turns out they didn’t mount a truly effective resistance on either front. Another valuable insight was the powerful effect that common goals could bring to the resistance bloc, and the corresponding strategic weakness in the lack of any truly binding commonality with the proxy forces and amongst their sponsors. [extends bowl] Please, sir, I want some more. do androids wear rose-tinted glasses? Androids will probably sport red-dot laser sights with targeting glasses. Also expect the American military camel-come-elephant to stick its nose under another tent somewhere soon. Probably a greater role for AFRICOM, and where the F-35 could be blooded without encountering stiff anti-air defences. That would spoil any remaining export market prospects. A quick (and perceptably) victorious campaign is needed to manufacture a new generation of “heroes” with medals. Casualties, unless medal-worthy, are glossed over. This tried and true formula helps to plump the recruiting drive. And justification for the military/security portion of the nation’s budget expense being so enormous must be maintained. A tinge of realism about foreign policy would see the name ‘Department of Defense’ reverted back to it’s ‘War Department’ roots, along with the acknowledgement that military and security expense is ‘fixed’ and not ‘discretionary’. The last part of this interview with Sharmine Narwani was profoundly insightful and hopeful. She mentions the common purpose which unites the Russia, China, Iran, etc. alliance. Bingo! The U.S., Saudi, Israel, etc. alliance doesn’t share a true common purpose…and they are all bullies on the world stage. I am beginning to think that perhaps we currently are in World War 3, but it is being played on a different level than a conventional war. Well done Sharmine… This is one of the clearest analysis i have heard in a long time. As someone who is in the epicenter of all this. I can assure you all the analysis are correct. it is missing some high level reasons and (who benefits), but otherwise it is all there.. I forgot about that. The majority of the population is under age 35, and have grown up with the religious doctrine/ mindset of the country. The younger generations grew up with oil wealth overflowing all over the place. When the world price dropped precipitously they started to see the reductions in government programs for them, while the obscene wealth of the royal family still existed relatively unscathed. If you were a young, adult Saudi you might be discomfitted by the huge arms deals with the US and UK as well. Money for military hardware and related ordenance, and not for the people. But that’s a sticking point in every US/Israeli/NATO client state. The recent internal developments in Saudi Arabia make some economic sense in being justification for confiscations in aid of the royal treasury. But there is probably a desire to also settle some scores about who supported Qatar, or who might harbour some ideas for pan-Arab power sharing, or who might have Iranian sympathies, and other like issues. Moderates are as guilty as the nearly traitorous. On a slightly different note, would you consider doing a podcast/interview on how the Kurdish people fit into this paradigm? There are about 20 million Kurds in the region and they were left without their own country as the Sykes-Picot agreement was signed after World war 1 ended. Stop saying US governemnt, it is Israel’s government in Washington. Kushner, as well as Trump are Zionists. I am always amazed how low key Israel is presented here, even though they run US foreign policy, Congress and the white house. This really works well for Zionists, providing levers for getting the US (and the vassal NATO states) to be mercenaries in the Israel-centric territorial wars. Some would argue that the same situation exists in the UK, even suggesting that perfidious Albion, too, has a lot more influence than meets the eye. British reserve, understatement, and all that. But perhaps we only see what we want to see. You are both blowing my mind and scaring the crap out of me at the same time. I have only really been opening y eyes to these things in the last couple of weeks. I feel ashamed and like I have been doing my family and my fellow humans a disservice all these years. I have always felt like things aren’t right but I just carried on about my business a slave to the almighty dollar! No more! 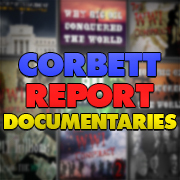 I am so glad you are here, part of the Corbetteer community which also focuses on solutions (such as spreading this information to others). Thanks. I am glad to be here! Always trying to have these discussions as much as possible now! I have lived some of the effects of corruption in regards to my health. I have since taken my health back myself and I am now a certified health coach helping others do the same!